What personality type are you? - Coach & Grow R.I.C.H. When I first found out my personality type, I had some shocking realizations! …and how that was wrecking havoc in my personal and professional relationships, my self-expression and ultimately kept me playing small. So I encourage you to take this free five-minute online assessment to discover your personality type, reveal your hidden blocks and see where your breakthroughs can happen. …And that’s why I’m psyched to introduce you to my friend and Master Coach, Ben Saltzman. Ben teaches coaches and therapists how to use the personality typing system called “The Enneagram” to accelerate spiritual transformations in their clients. The Enneagram describes, with ridiculous precision, nine wildly different personality types and how those types transform and grow. In my eyes, this is one of the most powerful systems available for deep insight into hidden fears and your ego’s defense mechanisms, which can push potential clients away or keep clients from trusting you. 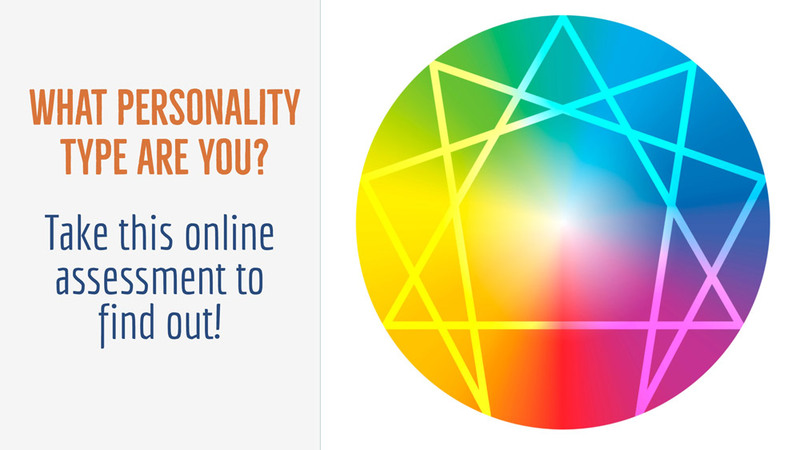 Take the online assessment now to find out your Enneagram Personality Type. P.S. “Tell me yours and I’ll tell you mine.” Once you find out your Personality Type, send me an email to let me know what yours is and I’ll reply back and share mine with you! P.P.S. After you take the assessment, you can sign up for a free training webinar where you’ll learn how to facilitate spiritual transformations with your clients using the Enneagram as one of your tools. So take the quiz and then be sure to register for the webinar!